According to a report by the Center for Microeconomic Data, Americans owed more than $1.23 trillion in auto loan debt in quarter one of 2018. On top of this, the average monthly auto loan payment rose to a new high of $523 thanks to increased interest rates. With many consumers looking to save money wherever they can with their new vehicle purchase, one of the top factors considered is fuel efficiency. Gas prices have fluctuated over the years, with the average cost currently sitting at more than $2 per gallon. Along with searching for the gas station with the best prices, drivers want to know that the hard-earned money they put towards their vehicle’s fuel tank is going to last. Kia has an excellent lineup of versatile models, including a handful of hybrid and plug-in options. However, for those sticking with gasoline-powered vehicles, the following offer the best fuel efficiency. Hello, Telluride! Have you met the all-new Kia Telluride SUV? The quality of these vehicles is further extended by the collection of awards they’ve won. 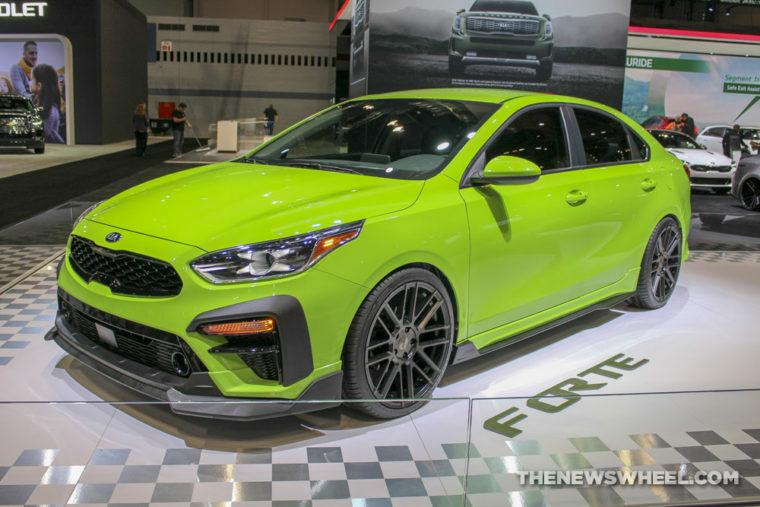 Both the 2019 Forte and Optima earned the Top Safety Pick+ award from the IIHS. The 2019 Rio, Rio 5-Door, and Soul round out the IIHS winnings with Top Safety Pick awards, while the Rio and Rio 5-Door models were awarded “2018 Highest Ranked Small Car in Initial Quality” for having the lowest rate of reported problems among small cars in a study of new vehicle owners. And just recently, the 2019 Soul earned the Kelley Blue Book 5-Year Cost to Own Award, besting competitors like the Hyundai Veloster and Elantra. 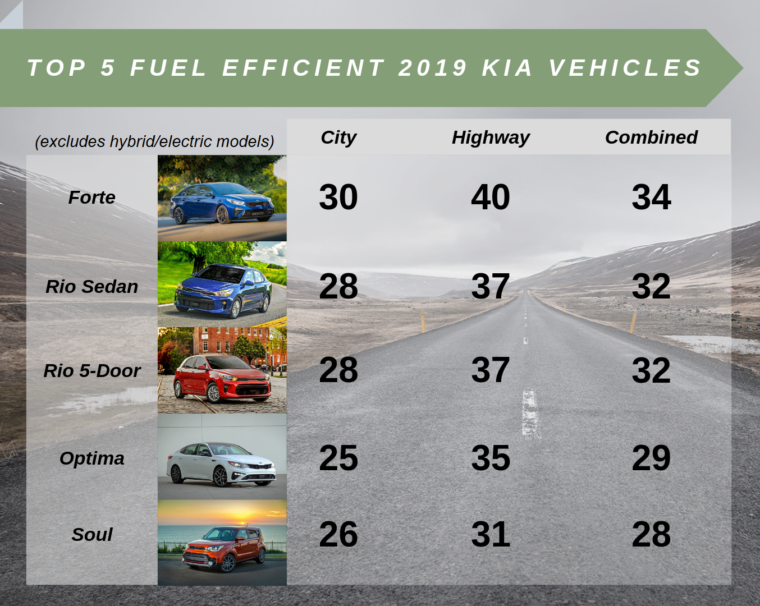 These fuel-efficient Kia vehicles are also affordable, with four of the five having a starting MSRP of under $20,000; the Optima is barely an outlier, with an MSRP of $22,990.